Than Just a Salad Dressing! There are lots of oregano oil health benefits and you can readily purchase this extract in stores where it's generally available in liquid, capsule and tablet form. For centuries, before people used the leaves to improve their cooking it was the healing uses of oregano oil that they were mainly interested in. Though the pleasant taste probably added to its appeal! The Greeks and Romans were big users of the oil. Using it as a perfume, massage oil and antiseptic. Read more on the long history of oregano. This is also true for a lot of herbs and spices. Long before they were added to food, it was their health and restorative benefits they were valued for. It's extracted from leaves of the flowering oregano plant (Origanum vulgare), and the best oils contain anywhere from 75 to 85 per cent carvacrol. Carvacrol is the natural ingredient in this herb which has antiseptic, antimicrobial and anti-inflammatory qualities. 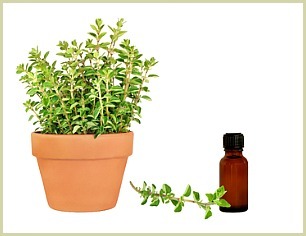 Note: You'll also find carvacrol present in thyme and bergamot essential oils. Note: If using wild oregano oil extract, make sure to follow the directions on the bottle as it is strong stuff with a peppery taste. You can dilute it with olive oil or even mix it with maple syrup or honey to mellow the taste. 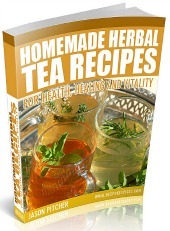 ...You can do what I do and make a cup of oregano tea. Using either fresh or dried leaves, this tea doesn't have the same uses as the extract, but it does come with a host of health benefits of its own. Click for my recipe. To get the healthiest leaves straight from the plant for use in your tea or recipes, I recommend growing it yourself. See my growing oregano page for detailed info and tips on how to do this.